Over the past 43 years, people have reacted to me in many ways. The two extremes are those who seem to treat me as if I don’t exist, and those who place me on a pedestal. educate people. I don’t mind people staring at me as I open doors at the Mall or other stores. In fact, it’s kind of fun watching people (especially little old ladies) freak out as I sit there in my wheelchair and hold the door for THEM! When I’m treated like I’m special, I become a little uncomfortable. When they use terms like “HERO”, well, I’ll just say that it’s not a word that I’d use to describe myself. I just try to be an Ordinary Average Guy. Even though I'm a little uncomfortable with the "HERO" label, there is a contest to give 3 new wheelchair accessible vans to "Local Heros." 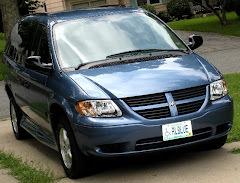 My current van is starting to become unreliable... got stuck last week at the bowling alley & had to pay $60+ for the 10 mile accessible cab ride home (PLUS $50+ to fix the thing PLUS I gotta take it in again next week to fix something else), but it was late at night & you do what ya gotta do. Anyway, vote for me every day the rest of the month and use Promo Code: 995, 818 or 989 for extra points! Vote once every 24 hours through the end of April (try each code once, then vote without a code). Help me get a new vehicle!!! National Mobility Awareness Month is a proclaimed month that will be celebrated throughout the month of May. The purpose is to educate the public that people with disabilities constitute the 2nd largest minority group in the United States. Over 18 million people in the U.S. and Canada have mobility issues. Six million of those are veterans. This website is where we share the stories of people with disabilities who are dealing with and overcoming their mobility challenges. We are also asking people to submit their stories to be showcased by national and local media over the upcoming months. Favorite stories will be voted on by your friends, family and peers, and the winners will be awarded a new customized wheelchair accessible vehicle. Hello sweet friends and family! Please take just a moment to read this important message and help my dear friend Steve win a new wheelchair accessible vehicle (which he NEEDS). He might be uncomfortable with the label "hero" for himself, but I am not. For those of you who do not know him...Steve and his wife Luanne are two of the most amazing individuals I have had the pleasure of knowing. Steve was paralyzed at the age of 16 and has made it one of his lifelong endeavors to teach others that a person with a disability can (and should) be just like everyone else. He married Luanne who has got to be an angel among us. She is like no one else I know! Luanne works at TLC, a Children's Therapeutic Learning Center. They adopted not one, but two children with developmental disabilities, Mark and Michael. Years ago I was lucky enough to work with both of them as a Life Skills Teacher (mostly worked with Michael though) and I learned as much from them as they hopefully did from me. Sadly, Mark passed away a handful of years ago due to complications of lifelong health issues. He is missed dearly by us all. Michael (who is now 26 I believe), works part time at Petsmart in Kansas City and we talk regularly. He is part of our family. They all are and we love them whole-heartedly. Together, they live quite a life of service - so giving and kind and are always there to lend a helping hand to others. Steve is such a kind, considerate, selfless man and quite the comedian! I am blessed to have him in my life and our family's lives. I wish this was more than a contest for a new van, as he deserves so much more. Steve and Luanne truly shine their light in this world and are an example for us all. I know someday he will be rewarded tenfold though for all the love he shares. Also, it would mean the world to me if you would please share this email with all your friends and encourage them to vote as well. I will be posting it on Facebook too which is another great way for us all to share it. I would love to send this message around the world and get him that van. It is just a small fraction of the appreciation he deserves for being such a wonderful person! 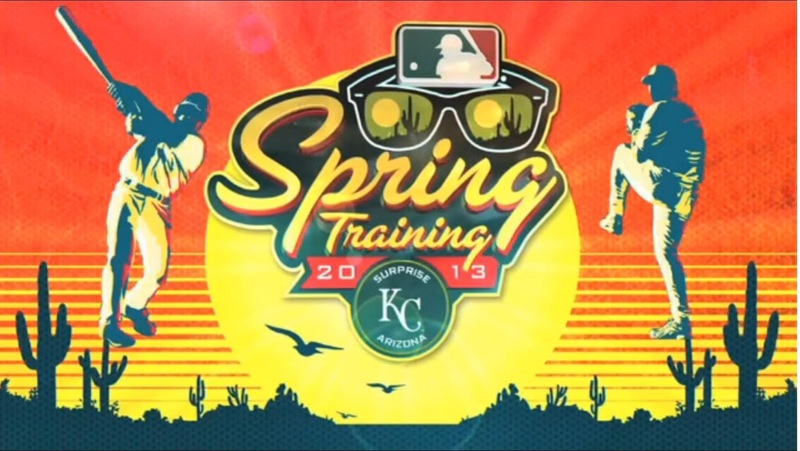 The Royals pitchers & catchers are scheduled to officially report in Surprise, AZ on Monday. So, today I’ll make my Pre-Pre-Season Predictions for the 2012 season. As Spring Training goes along, we can make more decisive choices of which players we predict to have the better years this season. This just starts the juices flowing a little while we (not so) patiently await the coming baseball season. 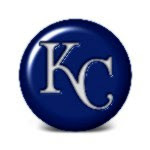 Of course, as I have for every season in the past decade (or more), I predict that the Royals will win 90 games, and win the AL Central Division. Since anything can happen once you get into the playoffs, I further predict a WS Title in 7 games. Hey! It could happen!!! With that out of the way, these are my Individual Performance Awards. This isn’t rocket science… heck, I didn’t even kidnap some geek with a calculator from his mother’s basement. Pitcher Of The Year – This is a little more difficult as the probable list of pitchers for the Royals is much more fluid. As the year goes on, there will a lot of movement on & off the starting rotation, & indeed, the overall pitching staff. OK, I wasn’t even going to put Chen on the list, but let’s be honest; he’s won it 2 years running so he deserves a little credit. However if Chen DOES with the Royals pitcher of the Year, then we’ll probably have a hard to reaching .500 (let alone my annual prediction of 90 wins). Actually, the only reason I put this list together is to say that there are 3 pitchers that I think will be guys that I have a gut feeling they will have a big impact (in a positive way) on our pitching this year. These guys are Paulino, Arguelles & Mendoza. Paulino had some very good stretches last year and really impressed me. Arguelles has top drawer stuff, when he’s healthy. Mendoza had such an awesome AAA season last year and brought that to KC for a couple games in September. JON PAUL MOROSI is practically saying the Royals are throwing away their only chance to win the AL Central in 2012, if they don't sign Roy Oswalt. 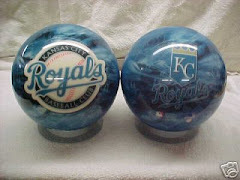 For sure, obtaining a healthy Oswalt (or any #1 starting pitcher) would fill the only glairing gap in the Royals roster. The Royals have ignored the temptation to give away key portions of a deep and respected Farm System or overpay Free Agents in order to accomplish a short term gain. Dayton Moore has said many times this offseason that he & his staff are building a team that can be contenders for many years. You don’t do that by trading away key players in your farm system or overpaying veterans who may block your up and coming players. They seem to have the offense, defense & have bolstered an already strong bullpen. Again this year (as last year) their starting pitching appears to be their Achilles Heel. You don’t have to be an old-school scout in suspenders with a stop watch & a speed-gun, or be living in mama’s basement with a scientific calculator to know that 20012 could fall short of contention for the Royals (even with all their young talented players). And then again a lot can happen between the last week of January and the end of September. no matter how many times he’s been an All-Star in the past. I have a feeling that he'll end up signing a 1 year deal (possibly with a 1 or 2 yr. option), for a base salary of $3-5M & incentives like an All-Star appearance, X# of innings &/or no time on DL that could get him close to his $10M asking price. Of course, if he comes down to these more realistic terms, there may be several teams willing to take a flier on Mr. Oswalt. And maybe it’s telling how far the Royals have come that they aren’t jumping at a chance at catching lighting in a bottle, by overpaying a veteran looking for a chance to keep his career alive. Who knows, the Royals may already have their true #1 starting pitcher in their system. Luis Mendoza, Felipe Paulino, Jonathan Sanchez, Aaron Crow, Danny Duffy, Mike Montgomery, or even Luke Hochevar could turn into that true #1 guy in the starting rotation. The below is my gut feeling of how these “Named Six” will do in 2011… not based on anything but my gut. Bruce Chen, Kyle Davies, Jeff Francis, Luke Hochevar, Vin Mizzaro, Sean O’Sullivan. These are the 6 pitchers who were named as the prime candidates to make up the Royals’ Starting Rotation to begin the season. Since there hasn’t been much press about these 6 dudes… because everyone likes to write about the bright new shinny prospects. So here is my pre-Spring Training forecast for the “Named Six”. Kyle Davies. As per usual, Kyle will dazzle with his great fastball & spike-curveball. Kyle will do well for a while, and then loose his concentration. By mid-season, Kyle will find himself in the bullpen… do a fairly good job. But, I believe Kyle will be packaged in a mid-season trade… or Designated for Assignment next offseason. Luke Hochevar. Here’s a tuffy. When healthy, he can be a very solid #3 starter, or better. But last year he injured his elbow during the season and when on the Disabled List. Then came back and was ineffective, so he was shut down for the rest of the year. Now they are calling him the probable Opening Day Starter. If he makes it out of Spring Training without needing surgery, I’m betting he’ll have some great games, but will end up having season ending surgery and (like Davies) probably never wear a Royals Uniform after 2011. And then again, Luke may feel the force and FINALLY become worthy of being a high draft choice (I won’t hold the #1 over-all pick tag on him). I’ll combine Vin Mizzaro & Sean O’Sullivan. Both are youngish guys we got in trades during the season last year. Since we didn’t give away All-Star players in the trades, it’s doubtful that we got back All-Star pitching prospects. Both guys have the arms to be solid #3-#5 starters. But both have under-performed so far and could end up as easy cast-offs. I suggest that you flip a coin… one turning into an important piece in our rotation… the other… not so much. Don’t know (nor care) which. Bruce Chen. The Bruce Chen we saw last year is the one I’ll be looking for this season. I’m guessing just a little better ERA & win total for Bruce. But he keeps talking about how he kept his pitches lower last year. When I view his 2010 re-caps, he got a lot of ground balls on pitches above the waist. Maybe he had a lot of downward movement through the hitting zone… it could happen! I like his veteran presence in the clubhouse… and sense of humor. I see Bruce as that all important innings eater. Jeff Francis. Here’s our Ace! OK, NOT a big time dominating #1 starter, but he’ll be a better #1 guy than Redman and many other Pre-Greinke/Meche #1 starters. I’m looking for a sub-4. ERA & 15+ wins. If we get that out of him, 2011 may not be a total loss. OR, I could be totally wrong. The Royals have 9 prospects listed as Baseball America's top 100 prospects. Better yet, 5 of the top 20 prospects... that's 25%... are from the Royals organization. The team has asked us fans to be patient for over 2 decades. Then, General Manager Dayton Moore (GMDM) told us that rebuilding a young team takes time... that it is a process... "The Process". As the Major League team in Kansas City continued to look the same (old overpaid washed up veterans with bad attitudes) with the same old loosing results, "The Process" was underway. This is all part of GMDM's "process". And for all those who compared GMDM's "process" to other attempts at "youth movements", etc... there is just no comparison. It doesn't even compare to the last wave of #1's we had in AA who fought for a championship. Lubanski Maier, Butler, Gordon & I'll even add Greinke who was making his comeback from leaving baseball. From that wave, there were no real hot pitching prospects (Greinke had a couple ML years under his belt), and Mike Aviles was the only non-#1 draft pick player good enough to "complement" the wave. Also Lubanski & Maier were "sign ability" #1 picks... so they hardly count anyway. Nobody expected them to be possible All-Star players, anyway. Now in this wave, we have a ton of pitching prospects... mostly lefties, and the list runs deep. We have multiple power and batting average corner infielders & (at least) one corner outfielder. WE have guys with great speed & defense up the middle. I have never known our farm system to have such depth throughout the entire minor league system. Folks, this is "The Process" that a small market team can be competitive (not just in a one & done fashion) for an extended period of time. This is not to say that 2011 may be yet another loosing year. 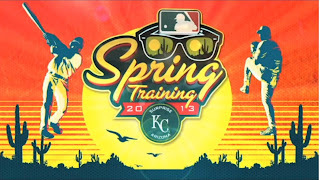 But, we should see some of the youngsters begin to take their place in Kansas City Royals History. Not so fast there. Here’s the way I read it. Last year, Kyle Farnsworth didn’t do well as a set-up man… with the game on the line. He showed time and again that he tends to choke in high stress situations. He’s got a great arm, so the Royals are trying to figure out to how to maximize the best return on their investment in him. Believe me, making him a starter will NOT bring back high returns on their investment. Plus, if he makes the rotation, then there are MAJOR problems behind Zack Greinke. Gil Meche, Brian Bannister, Robinson Tejeda, Kyle Davies and Luke Hochevar all have to crash and burn in order for Farnsworth to join the rotation. They need to get the most productive innings as they can out of him. Pitching in the rotation will get more innings out of him, but the key here is quality innings. He showed a knack at shutting the other team down when the game was NOT on the line. To me, that is the key element in his ability to provide quality innings. The article mentions that he’s working on new pitches. So here’s what the buzz REALLY comes down to. First, he needs more innings in Spring Training to work on developing his new pitches. Throwing in the bull-pen is helpful, but he needs to see how batters react to them. Starting games during Spring Training is a good way of getting those developmental innings. Then when the season begins, he becomes a long reliever… pitching well in less stress games (last year, no one was able to stop the bleeding once the other team began scoring runs, he seems to thrive more in these settings). That was when he seemed to have his best outings… middle of the game, no late game pressures. If (when) we need a spot starter, Kyle Farnsworth could be an option. NOT in the regular starting rotation, but a potential “swing man” to eat up innings in long relief, or occasionally start a game.